● Kevin Harvick started first and finished 30th. ● The Busch Light Ford led the first 72 laps before a punctured tire sent the car to pit road with two laps remaining in the stage. ● The team fell a lap down during the stop and restarted as the last car one lap down. ● Harvick came to pit road for four tires and fuel following the stage. The team was ineligible for the wave-around due to a commitment line violation. ● Harvick started 28th, finished fourth, earning seven bonus points. ● The Busch Light team was awarded the free pass to return to the lead lap on lap 96. ● Harvick raced his way back into the top-15 on lap 123 and up to 13th by the following caution on lap 134. ● The team stayed out under caution as many of the leaders came to pit road. The strategy allowed Harvick to restart third on lap 139. ● The No. 4 Ford held on to the fourth position to end the stage. ● The team came to pit road for four tires and fuel at the conclusion of the stage. ● Harvick started 10th and finished fifth. ● The No. 4 Ford raced from 10th up to the fourth position before coming to pit road for four tires and fuel on lap 227. ● The caution flag came out while the No. 4 Busch Light Ford was on pit road, trapping the team a lap down. ● Harvick took the wave-around on lap 235 to return to the lead lap in the 11th position. ● The Busch Light team came to pit road under caution for a two-tire stop on lap 265 and came out sixth. ● Harvick narrowly avoided a multicar incident on a lap-268 restart that took out Kurt Busch and Chase Elliott. ● The No. 4 Ford was in the third position on lap 286 when the caution flag came out. He restarted second on lap 292. ● The Busch Light team chose to stay out for the final caution on lap 295 while in third. ● The team restarted third on lap 300 and held on to score a top-five finish. Were you stressed at all in the car or did it just fuel the fire for you? Any indication the right-front tire was going down when it did? ● This was Harvick’s series-leading 22nd top-five and 28th top-10 of 2018. ● Harvick earned his 16th top-five and 21st top-10 in 32 career Monster Energy NASCAR Cup Series starts at Phoenix. ● Harvick finished fourth in Stage 2 to earn seven bonus points. ● Harvick led twice for 73 laps to increase his laps-led total at Phoenix to a series-best 1,595. This is nearly twice as many as the next best driver Kyle Busch, who has led 944 laps at Phoenix. ● Kyle Busch won the Can-Am 500k to score his 51st career Monster Energy NASCAR Cup Series victory, his eighth of the season and his second at Phoenix. His margin of victory over second-place Brad Keselowski was .501 of a second. ● There were 10 caution periods for a total of 61 laps. ● Only 15 of the 39 drivers in the Can-Am 500k finished on the lead lap. 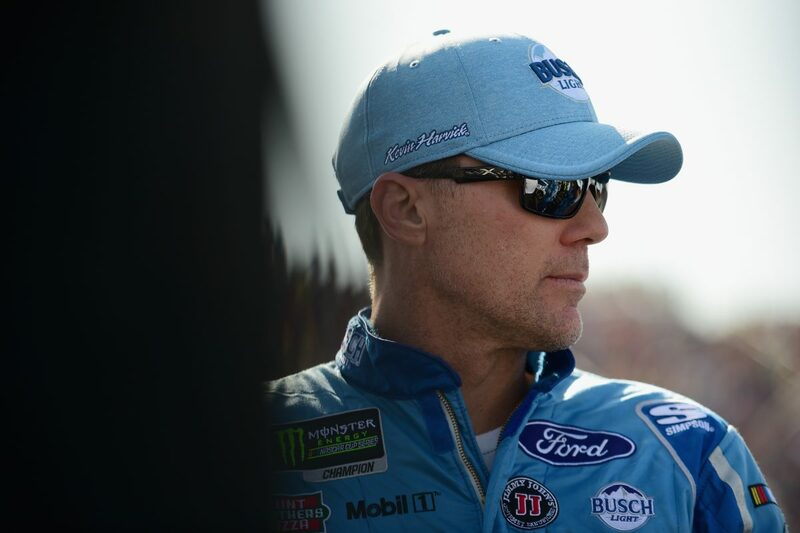 ● Harvick will compete in the Championship 4 for the fourth time in the last five years. He won the championship in 2014.